Nothing is ever certain in the world of Google Organic Search, and the SEO industry is full of myths. Hundreds of rumours are created on an almost daily basis, and some of them can be very persistent! 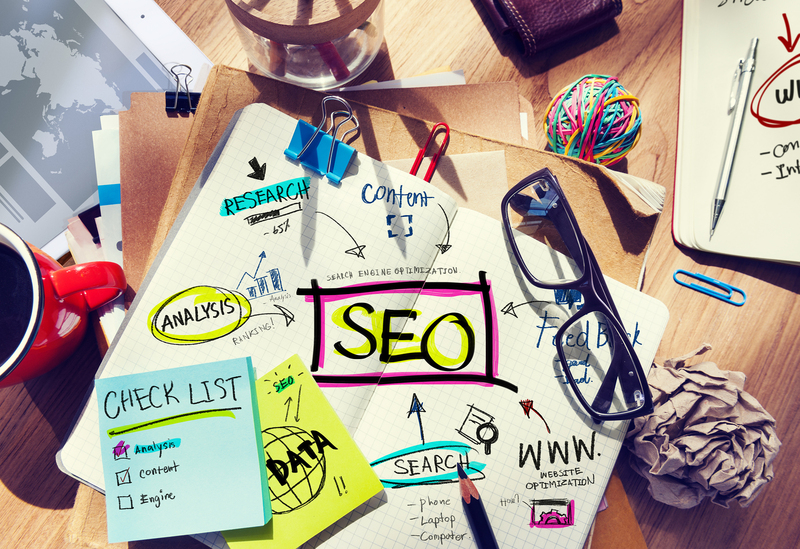 Let’s debunk three of the most persistent SEO myths and leave them where they belong – in the dark past of search marketing. Sounds like a heresy, huh? How many years of their careers have SEO Managers spent on creating fancy pivot tables, shuffling around compiled data from Search Console, Majestic, Searchmetrics, and whatever else there was in hand to create the Ultimate Keyword Strategy Spreadsheet? And what about keyword relevancy? If you want to rank for a keyword of your liking, let’s say, “speedos”, you need the word “speedos” somewhere on your website? Right? The thing is, keyword relevancy should occur naturally, without faking or forcing it. When it comes to creating a content plan for your new website (or even an existing blog), you need to carry out a content audit and some thorough keyword research. If you are selling luxury gold coated speedos encrusted with Swarovski crystals, there is no point trying to rank on page 1 for the keyphrase “cheap swimwear”. This is not going to happen, and even if it does for a couple of days, you need to think about your conversion rate. A savvy guy looking on the internet for some cheap swimwear so he can #getinthesea during the summer months won’t buy a box of your posh golden speedos for the equivalent of his monthly pay when he could probably find something else for a couple of quid. While this keyword has 100x more searches per month than “luxury designer speedos”, and it would be easy to create a whole page (or two!) about cheap swimwear loaded with articles from Fiverr, is it going to help you sell your product? It is best to be as genuine and honest about your offer as possible. Tell your users what you are selling, explain the benefits, and write a cool, informative description. Don’t hesitate to use the word “speedos” as many times as you need to (forget about keywords, focus on your product!). Nudge Google with a title tag, but don’t try too hard to outsmart it. Okay, ready to talk through another heresy of our times? Let me start with a story. There was a small town in the middle of nowhere consisting of two charity shops, a chippy, and a pub. It has one local newspaper. Because there was never anything going on in the town, the local newspaper rarely had new information to talk about, and often ended up just writing about what was new on the chip shop menu. They have written about the new fish bites for £2.99 (with large chips and a can of pop). They have also written about the chippy owner, Steve the Fish’s fiftieth birthday. For free. Every time. Fast forward 15 years, Steve the Fish is 65, and he and his wife regularly look worried and upset when reading the newspaper, but why? There are now 25 chip shops in the area. There are 11 pubs. And don’t even start me on charity shops. The local paper is no longer the only paper in town – there are four. Chip shops are competing hard against each other, and all of them want their menu to be featured. The town has completely changed; there are more people, restaurants and bars, live music, and regular charity events. There’s plenty going on, and no one in the paper cares about Steve the Fish’s £2.99 fish bites anymore. What’s happening instead is that the editor is completely spoilt for choice. He doesn’t even read 80% of the emails he gets each day. And so it goes on… The editor, of course, is just a human being and he happens to love playing golf. When he met Steve the Fish’s brother the other day on the golf course he decided to give Steve a call, as the paper was preparing materials for International Fish Day. Other chippy owners saw this and decided to send the editor some golf related freebies (golf ball shaped fish bites), and one guy just sent him a cheque. Because the cheque was the most hassle free option, all the chippy owners soon started sending money to the local papers, and the editor instead of ignoring his emails started counting his profits. Now, I’m sure you get the analogy. You are Steve the Fish, the editor is everyone on the Internet (and they all care about Brangelina and Jeremy Corbyn, not what you are trying to sell behind your flashy infographic), and the cheque is just… money. Is it fair? No. But what can you do about it? The answer is: create the most killer content on the planet and everyone will start sharing it everywhere, including writing your URLs on the toilet doors at the railway stations. In the meantime, don’t just diss the paid link. You are paid by your client, and why should a blogger publish your piece for free when she/he can choose from multiple brands offering to pay for the publication? How many times have you heard the guys at Google say that PageRank doesn’t matter? Enough to believe it I expect. First of all, you shouldn’t believe everything you hear. Secondly, there is a difference between toolbarPR and realPR – you need to know that in order to make up your own mind. The “green bar” abandoned by Google – toolbarPR – was always right at the exact moment of the update, and, as we all remember, this was happening once every few months. The real-time updated realPR, Google’s own tool used by its employees, quality raters etc, is here to stay; having lived with a Quality Rater for 3 years now (that’s a story for another blog post!) I have heard many times these guys saying “PR – passing links” instead of “dofollow links”, “SEO juice – passing links”, “links with SEO value”. Is this a hint, Google guys? Even with an enormous amount of good will I’d call this a hint. It’s proof that in 2015 PageRank does still matter. Tosh or oh gosh? Let me know in the comments!